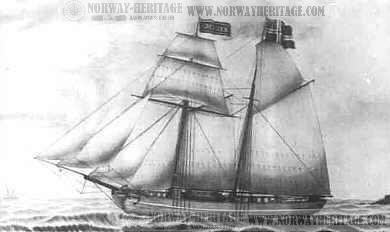 This is picture of the Ebenezer is from a photograph belonging to the Stavanger Sjøfartsmuseum. You can order a copy by contacting them, (picture reference: no. 45) They also have another picture of her (ref. no 353). Remember to include all details when ordering.